Many football players seem to have a team they see as home owing to the level of support they get from the fans and the professional relationship they enjoy with the coach and fellow teammates. Patrick Chung has found such a team which has helped him become his best as one of the NFL safety players. His professional career kicked off in 2009 after he was drafted in the second round of the 2009 NFL Draft which is where his relationship with his current team – New England Patriots – began. He, however, left the team after a successful four seasons to join Philadelphia Eagles and just after one season with the Eagles, he returned to the Patriots to continue from where he left off. Here is all you need to know about the safety. The 19th day of August 1987 saw the birth of Patrick Christopher Chung in Kingston, Jamaica to Jamaican parents. He is of mixed ethnicity – Asian and African – but holds Jamaican and American nationalities. 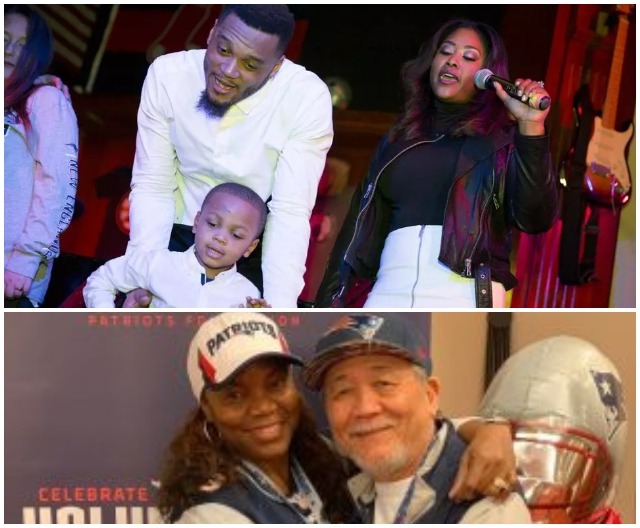 Patrick Chung schooled at Rancho Cucamonga High School, California where he among other things, played football as a safety and wide receiver. He further had his college education at the University of Oregon where he was redshirted in 2004 before he started off the following year when he took over at the rover position. His exploits in college both as a junior and senior earned him several awards including All-Pacific-10 Conference honorable mention honors, Second Team All-American and First team All-Pac-10 Conference just to mention but a few. He also set the record as the defensive player that started most games in the history of Oregon with 51 straight games in his college career. He earlier wanted to forgo his last year eligibility to participate in the 2008 NFL Draft but would change his mind and return to Oregon and finish his senior year. He finally entered the 2009 NFL Draft where he was drafted by the New England Patriots in the second round as the 34th overall and was the second safety drafted in the exercise. On July 27, 2009, he officially inked a 4-year deal with the Patriots worth $5 million with $2 million signing bonus. In his first stint with the Patriots from 2009 to 2012, he played 50 games and recorded 239 combined tackles (163 solo), 19 pass deflections, 7 interceptions, and a single touchdown. On March 12, 2013, Philadelphia Eagles acquired the services of Patrick on a three-year contract worth $10 million with $4 million guaranteed. Due to injuries, problems with tackling and pass coverage, he spent a single season with the Eagles and played 12 games where he recorded 44 combined tackles (29 solo) with 3 pass deflections. He was released by the Eagles on March 11, 2014, saving $2.25 million in cap space. He made his second move to the Patriots on April 3, 2014, on a one year contract of $1.10 million with $120,000 guaranteed and a signing bonus of $60,000. With a remarkable season of 16 games and 15 starts with 85 combined tackles (50 solo), 7 pass deflections and a single interception, he earned a three-year contract extension with the Patriots worth $8.20 million with $3.40 million guaranteed and a $2.40 million signing bonus which he signed on January 9, 2015. His playmaking ability never went down a notch and he signed another one-year extension with the Patriots on April 1, 2016, worth $5.70 million with $1.80 million guaranteed and a signing bonus of $800,000. The same contracted was extended for yet another 2 years, in March 2018 to the tune of $7.80 million with $5.2 million guaranteed and a signing bonus of $3.60 million which will see him at the club till 2020. So far in his second stint, he has played 63 games and recorded 345 combined tackles (229 solo), 28 touchdowns and 3 interceptions. Patrick was born to a reggae artist mother, Sophia George-Chung and a music producer father, Roland Chung. His mother held sway in reggae music in the ’80s one of her hit songs is Girlie Girlie while most of her songs were produced by her husband who doubled as her manager. The No. 23 man of Patriots has four brothers and three sisters. His half brother, Brian Carey Chung is a choreographer, dancer, and poet. Patrick is so proud of his family especially his parents whom he adores and sees as his anchor for training him responsibly. The 5 feet 11 inches tall athlete, is quite a responsible young man both on and off the field. He is a husband and a proud father as he is married to Cecilia Champion Chung, a lady he met years back in Boston, Massachusetts. They dated for quite some time before tying the nuptial knot on June 30, 2012, in Nepa Valley – a ceremony graced by 150 guests comprising of immediate family and close friends. They have a son named Taj James Chung who was born on September 18, 2010, two years before they were wedded. Although they have been giving back to the society through their Changing Lives Foundation, his $900,000 annual salary or the estimated net worth of about $4 million has not diminished. His amiable wife currently serves as the Executive Director of his foundation.